Question of the Day: Is it more acceptable for a man to hit a woman if she hits him first? 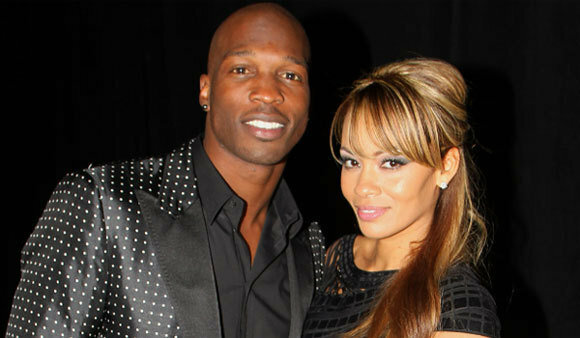 Details surrounding the alleged domestic violence incident involving Chad Johnson and Evelyn Lozada continue to flood the internet. One of the new details that have recently surfaced is that Lozada hit Johnson first before he allegedy head-butted her. The introduction of this new detail seems to have swayed some people into defending Johnson for his actions against Lozada. This new defense of Johnson leads me to have to ask the question: "Is it more acceptable for a man to hit a woman if she hits him first?" I really am curious as to how people feel about this. I remember this same thing came up when the incident involving Rihanna and Chris Brown occured. Many people excused Brown's actions by saying Rihanna allegedly hit him first. In most cases men can overpower a woman and hurt her more than she can hurt him. He should do what he needs to do to get out of her presence, for both parties' safety. If he cannot get away, I am more in favor restraining vs. retaliating with with force. In this case, Chad is a professional athlete that is physically stronger than her. Clearly his "defense" sent her to the hospital compared to what he may have suffered from her hitting him. I do not know that he can justify his actions. No one (man or woman) should need to lay a hand on anyone. Many people are reactive rather than proactive. They let the actions of others control how they react instead of making that choice for themselves.